The city is a pressure cooker. disorders this decade, than in the two previous decades—combined. We are the peaceful garden that is humanity’s birthright. We are Columbia Valley. Where the city unwinds. 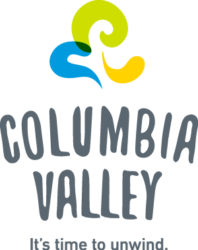 For upcoming events or valley information, please visit Columbia Valley Chamber of Commerce.